To be honest, I'm here to sell a guitar for a friend. He's got a very nice Hascal Haile Classical that has been "sitting under the bed" for that last 44.5 years. Gruhn was interested in purchasing without even seeing in person. 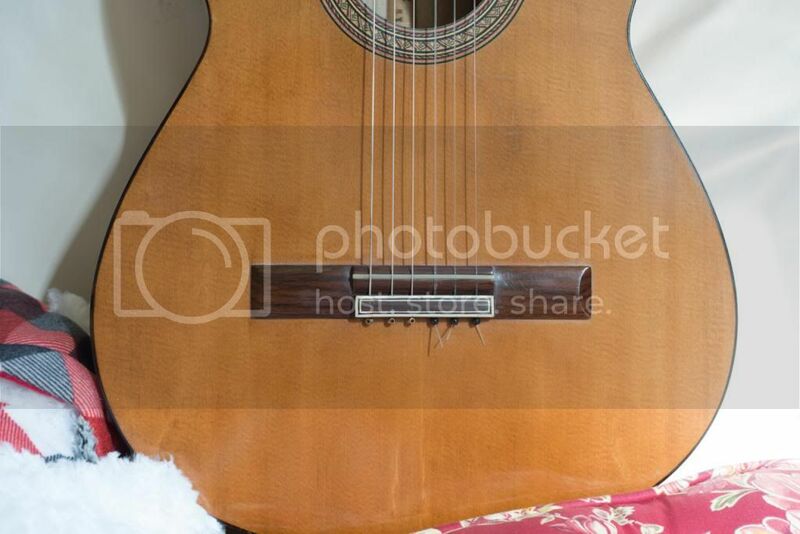 Guitar is dated, March 23, 1970. He brought the guitar to me to get an ideal what it was worth, I did some research and found this is something that Chet might have liked and played way back then. I would set this up in the For Sale section of the forum but want see if there is an interest. I've taken pictures and can give you a detailed story about how is father was a friend of Mr. Haile and he got this guitar for his 17th birthday. Not, interested in actually playing guitar, it sat in his bedroom for the past 44 years, never really played. For those thinking this may be a scam, please PM me for my phone number and I can get you in contact with the original owner. I understand that guitars like these do not show up very often so setting a price for the guitar is not easy. I spend a lot of time on the Collings forum with the same handle, Kenny B. I will probably list the guitar there for reference. I have taken pics and will give you a link for the pictures. Went to CAAS in 2004 (if that matters).